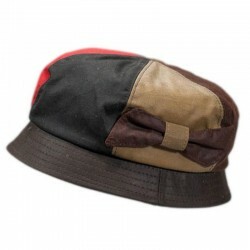 A really nice Corduroy Skipper Cap made by Hatman of Ireland. These great hats are known b..
Classic Corduroy Skipper Cap from Hatman of Ireland. Some people know them as Skipper Caps, others c..
Beautiful Corduroy Skipper Cap from Hatman of Ireland. These great hats are known by different title.. This Crushable Hat is coated with Green Antique Wax. Made by Hatman of Ireland it is a ver.. This Crushable Hat from Hatman of Ireland is a really versatile piece of headwear. It can be stuffed..
A Denim Skipper Cap is a very versatile piece of headwear. It can be called a Skipper Cap, ..
A great Tweed Baseball Cap - Made from a hard wearing wool blend and fitted with natural cotton lini.. This is a rich Brown Wax Unisex Hat from Hatman of Ireland, The Bilberry Hat is suitable for Men or .. This is a classic Green Wax Unisex Hat from Hatman of Ireland, The Bilberry Hat is suitabl.. This is a rich Navy Blue Wax Unisex Hat from Hatman of Ireland, The Bilberry Hat is suitab.. This is a rich Red Wax Unisex Hat from Hatman of Ireland, The Bilberry Hat is suitable for Men .. This is a Rust Brown Wax Unisex Hat from Hatman of Ireland, The Bilberry Hat is suitable for Me..
Another great hat made by Hatman of Ireland, the Trilby Waxed Hat is the king of waxed hats and a mu..
A wide brimmed Western Style hat from Hatman of Ireland. It is made from Felt which feels soft but i..
A really classy women's hat made by Hatman of Ireland.Made from 100% New Wool - Red with a complemen..
A really nice Red Tartan women's hat made by Hatman of Ireland. Made from 100% New Wool - Tart..
Great range of womens Hats and Caps made from Donegal Tweed, Scottish Tartan, Pure Wool and Felt.